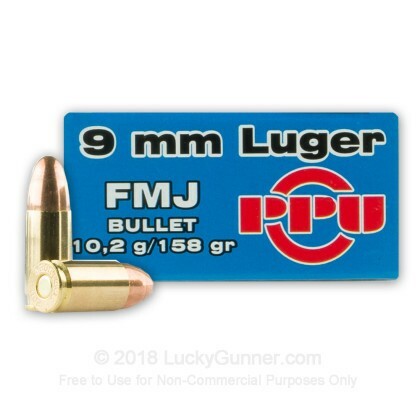 The 9mm was invented back in 1902 in the German Empire by Georg Luger of DWM. Recently declared by the FBI to be the best round for self defense on the market, the 9mm has come a long way from its beginnings. 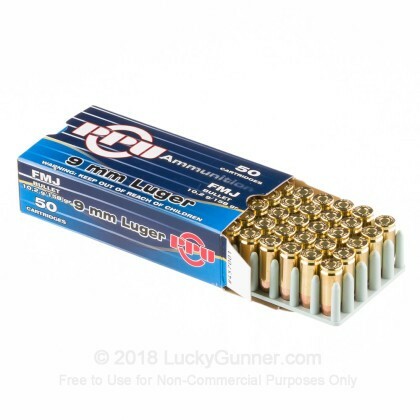 Whether you have an old handgun from one of the World Wars or are looking for a great range and self defense round, the 9mm is just what you need. Prvi Partizan is one of the best ammunition companies in Eastern Europe. 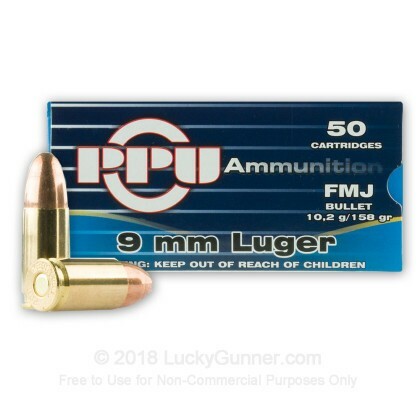 Offering their customers over 400 variations of small arms ammo, PPU is well known for their vintage and hard to find calibers as well as popular modern rounds. Aside from ammunition, Prvi Partizan also manufactures tools and machines for ammunition production. 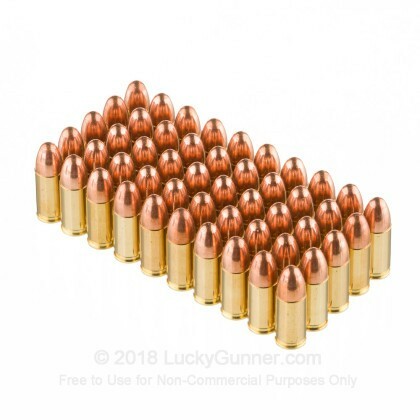 Each round in this case of 1000 features a heavy 158 grain full metal jacket projectile that leaves the barrel at a sub-sonic velocity of 984 feet per second. 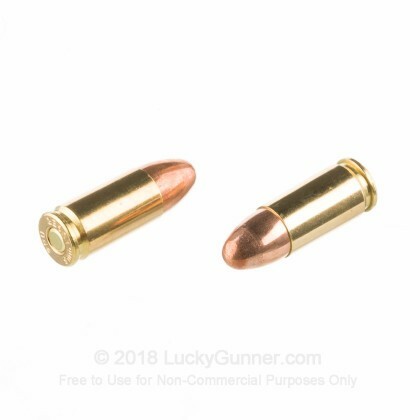 These bullets are loaded into fresh brass casings that come boxer primed and are re-loadable. The next time you head out to the range, take these affordable, high quality rounds with you and have a ball! 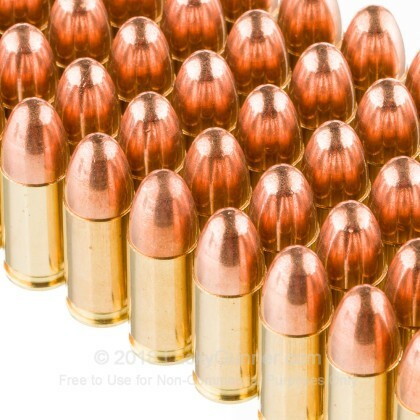 We also have this 9mm - 158 gr FMJ - Prvi Partizan - 50 Rounds ammo in stock in a smaller quantity.